Inspire others to take environmentally friendly steps by using the custom made reusable bag as promotional items. This reusable and insulated cooler bag features polypropylene construction which means fewer plastic bottles end up in landfills. Plastic is not biodegradable so when it’s dumped in a landfill it stays there for a long time. Finding alternate uses for plastic bottles by recycling them into handy and durable products is a socially responsible way to market your company. 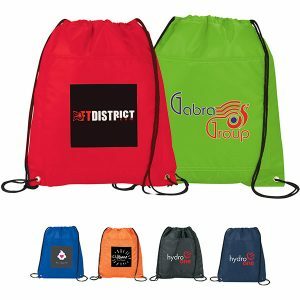 Factory Direct Promos is a leader in customizing eco-friendly promotional bags and we can help you select bag and imprint colors at our incredibly low wholesale prices. We offer a great value and our printing is done in the USA so we can fill your order in 2 weeks. Look into our overseas production if you wish to create something more custom. Custom designs can take 60 – 90 days; however, you can select materials, sizes, and more so you end up with exactly what you want.